Last year there were approximately 2.2 million weddings in the United States. And each couple wants their wedding to stand out. 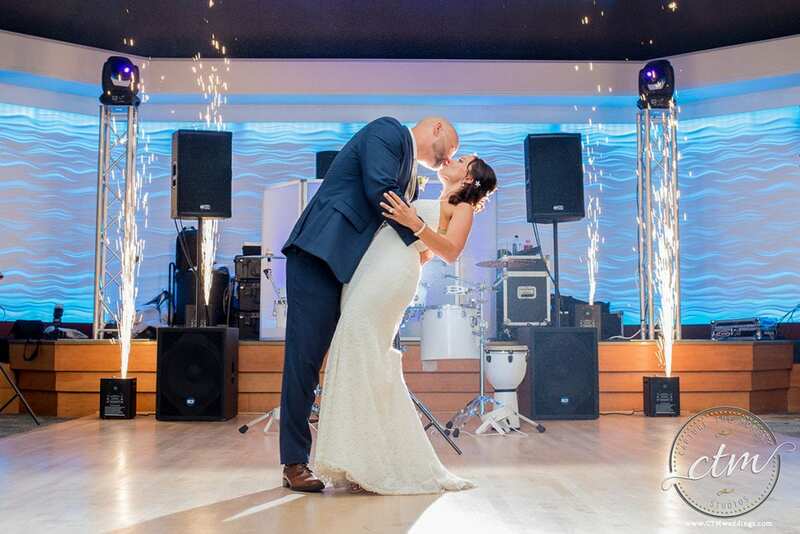 The wedding reception entrance is your chance to be as creative as possible – especially at a beachfront venue like The Crescent Beach Club that can accommodate everything from fog to fireworks. Tickets for musicals like “Hamilton” go for thousands of dollars, but you can give your guests a mini-show right in the ballroom. Your bridesmaids can break it down like The Schuyler Sisters and “work” while the groomsmen can impress with substitute lyrics for “The Room Where It Happens.” To add an element of surprise, consider a flash mob where guests suddenly rise from their seats and join in to dance or sing a solo! Not a Broadway fan? 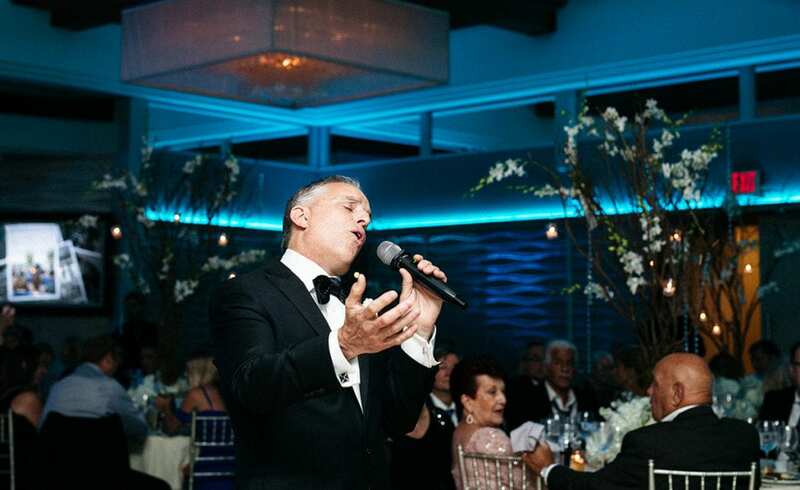 You could also create your own medley of your favorite songs for a cabaret-like precursor to the big entrance. 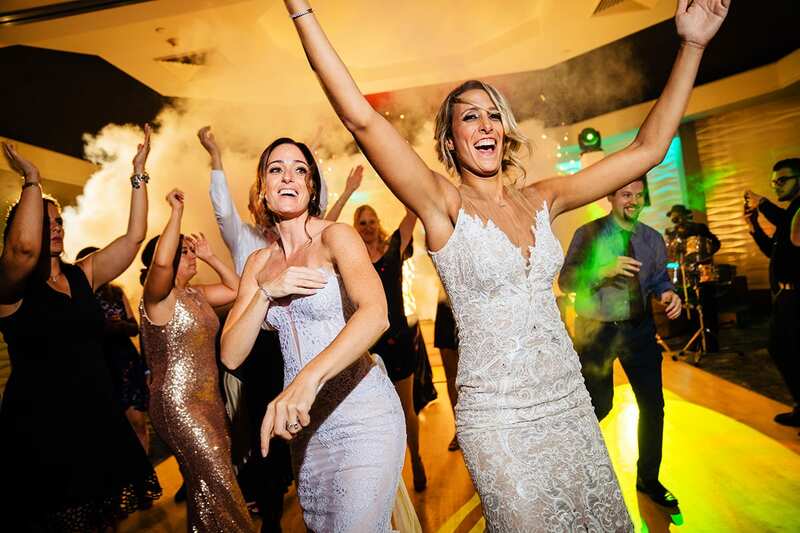 It may take a little effort, but taking the songs and changing the lyrics to match a bride and groom’s story is a sure fire way to impress and make memories to last a lifetime. You could even go viral in this age of social media! Light Up the Room (Or Sky)! Technology has come a long way. With that, so has pyrotechnics. You can make your grand entrance a light show with indoor fireworks using “Sparkular” machines. These guaranteed-safe, cold spark fountains are rented through vendors trained in the set-up and execution of these displays. To add even more magic to your entrance, consider a cold ice fog machine to cover the floor with an air of mystery. The Crescent Beach Club has an open layout featuring a patio and an entire beachfront. You can even situate your wedding party outdoors just after sunset vows. Using the element of surprise, you and your bridal party can enter as fireworks light up the night sky. Fireworks are possible at The Crescent Beach Club if set off from a barge. However, you could alternatively enter as your party holds fire-free sparklers. Make sure your photographer is ready for that photo! Looking for a simpler, subdued way to execute an unforgettable entrance? Consider setting up a scrim. A scrim is a piece of gauze cloth that appears opaque until lit from behind. It is used in theatre. 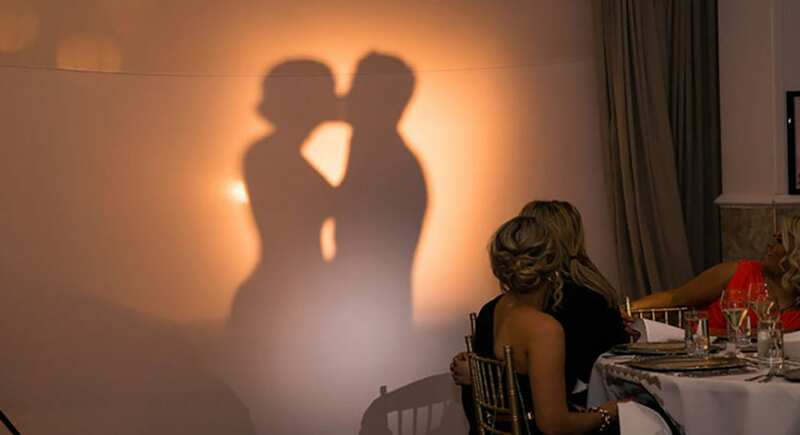 For your wedding reception entrance, scrims can be used to greet guests with silhouette doppelgangers. Combine your entrance and first dance behind the scrim while “your song” plays as you spin and twirl. Another option is reenacting a special memory from your time together as a special guest narrates. This allows you to truly tell the story of your romance. Dirty Dancing is possibly the most iconic dance in film history. If you’re up for a challenge, you can recreate the magical scene of Patrick Swayze lifting Jennifer Grey in the film’s final sequence. However, lifts should not be attempted without preparation. Booking a few sessions with a local choreographer can do wonders. The Crescent Beach Club strives to make your dream wedding entrance a possibility. Be sure to share your ideas with your consultant and we’ll help you make that entrance dream a reality.